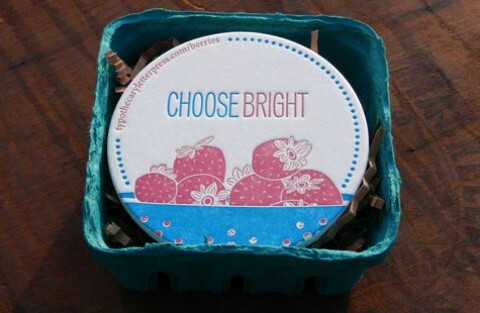 It’s tough to craft a client gift with just the right blend of fun and sophistication. 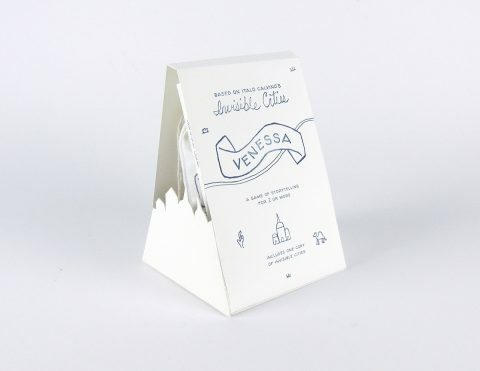 As a design or print studio you want to appear whimsical but not trivial; creative, but with a bedrock of integrity. Packaging firm MW Luxury managed to tick all of these boxes at the end of 2018 with “The Christmas Bee” Book. 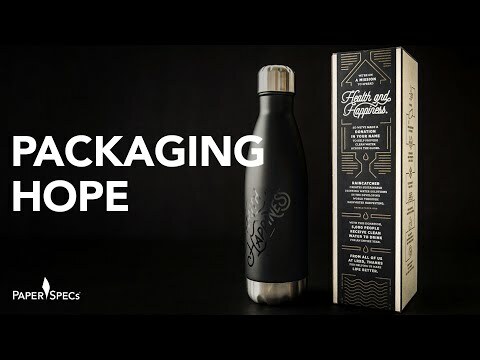 With great elegance it manages to entrance while offering a very personal solution to an impending crisis: the decline of bee populations around the world brought about by climate change, pesticides and loss of habitat. 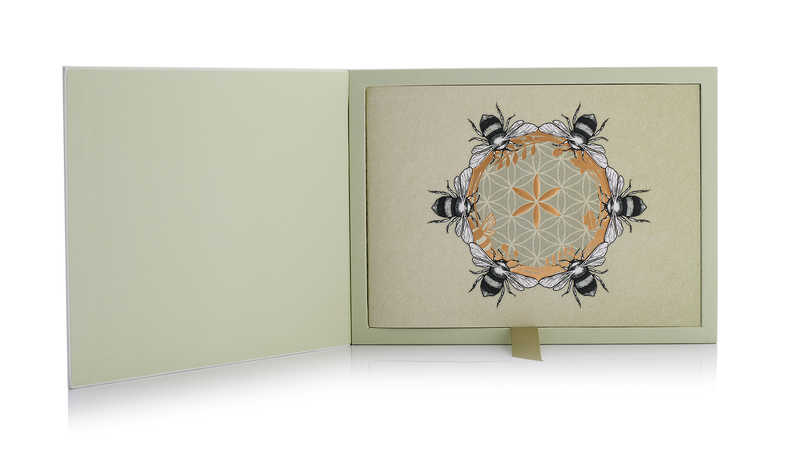 The book arrives wrapped in tissue paper held closed by a wax seal, a bee design stamped at its center. (Already I’m loving this piece.) Removing the paper I get my first real taste of the delights to come – an off-white sleeve with a large, lovely sculptured-emboss bee, gleaming with gold foil and displayed prominently on the front. At this point all my reserve has fled; quickly I slide the contents from the sleeve to reveal whatever treasure lurks inside. 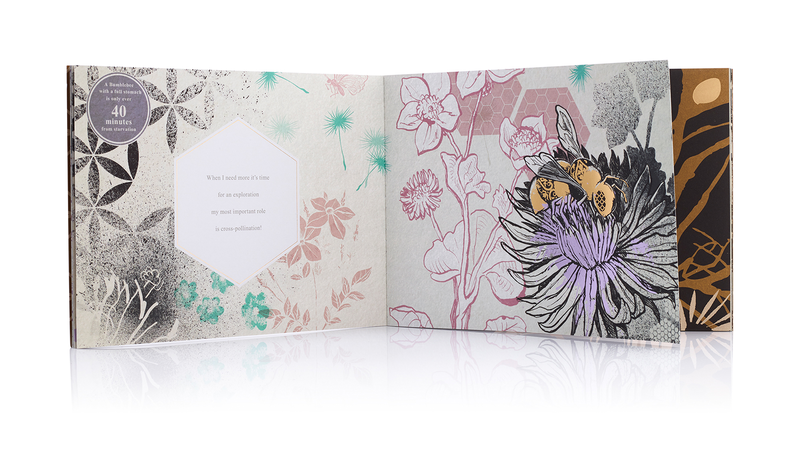 Out comes a rigid board case wrapped in the same uncoated paper, awash in a flowery pattern applied using spot UV. 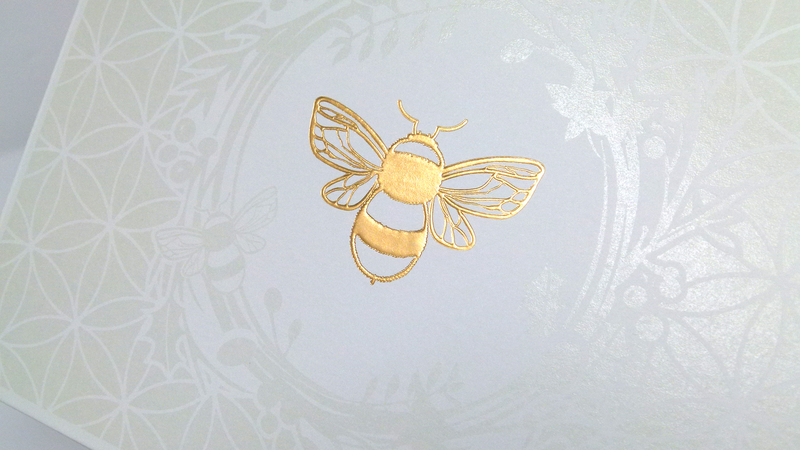 At its center, a UV wreath encircles the same gold bee that greeted me on the sleeve. 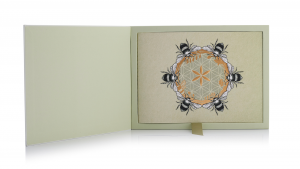 Lifting the lid at last brings me face to face with the star of this show: a booklet that features a truly memorable cover featuring six black-and-white, embossed bees ringed around a gold-foil flower. Tugging a handy ribbon frees the Singer-sewn booklet from its recessed case. Illustrated by in-house designer Christian Zebitz, the piece transforms the humble world of the honeybee into a vivid, vivacious sensory experience. 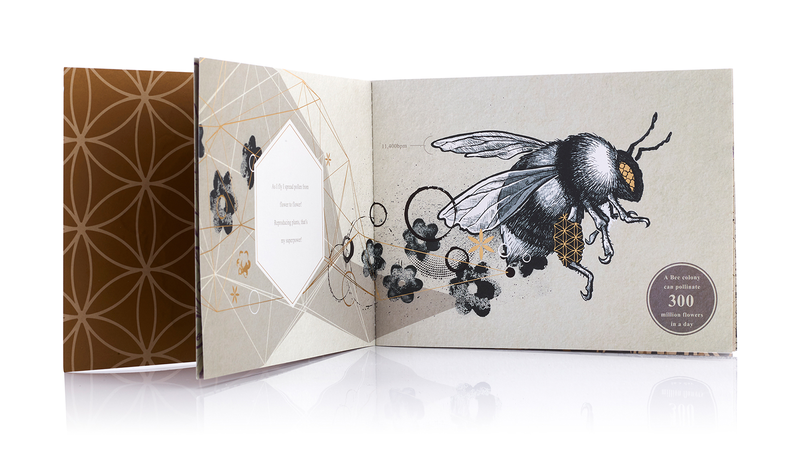 Its life cycle is rendered in rich blacks and golds against backdrops of purple flowers, intricate patterns, and gold foil stamping, while Melissa Furness’ words make clear just how delicate the balance is between bees and our own food supplies today. As with their previous year’s client gift, “A Box is Not a Home,” here, too, the company gives recipients of the booklet a way to help out. 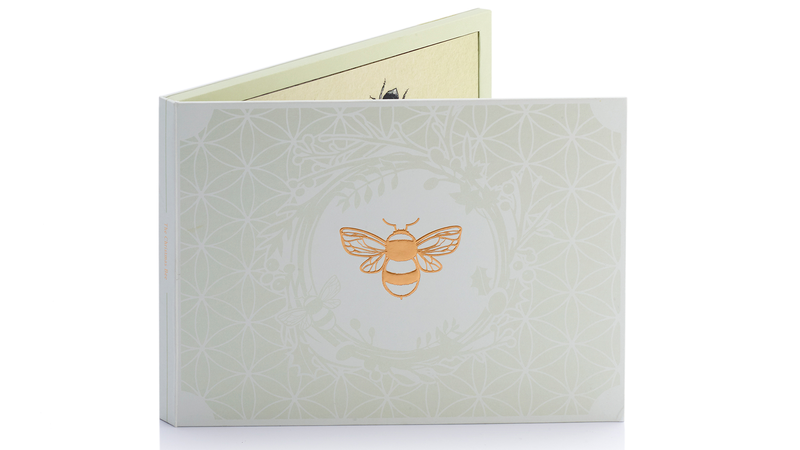 A golden envelope at the back of the book contains seed paper that, when planted, will produce some of the wildflowers so necessary to honeybees. 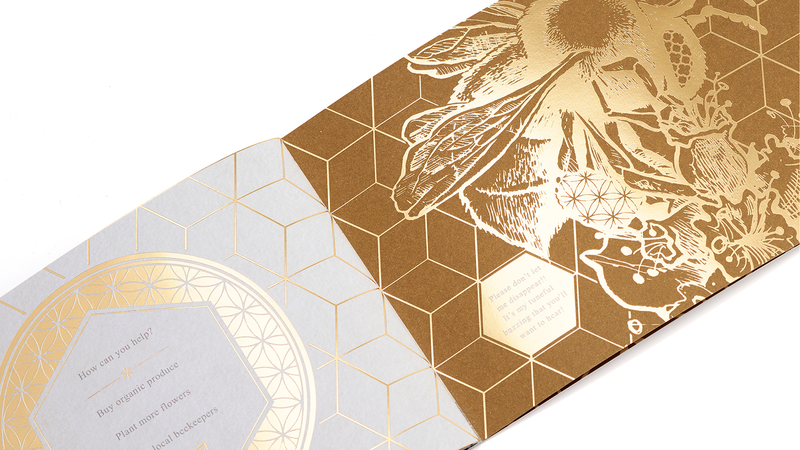 Foil helps bring these honeybees to life, just as it does so many other design creations. 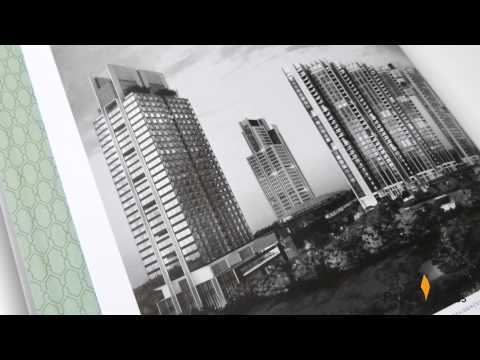 Wish you knew more about hot foil stamping, cold foil transfer and the latest digital foiling technologies? 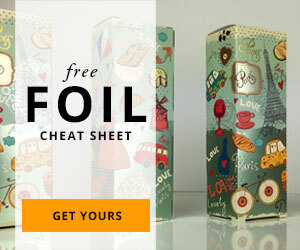 Then download our free Foil Cheat Sheet right now! In it you’ll find everything you need to know – from color options to pros and cons – all in one place! Like what you see? Find out more and vote for Revista Cruce. Very, very nice and especially cool. 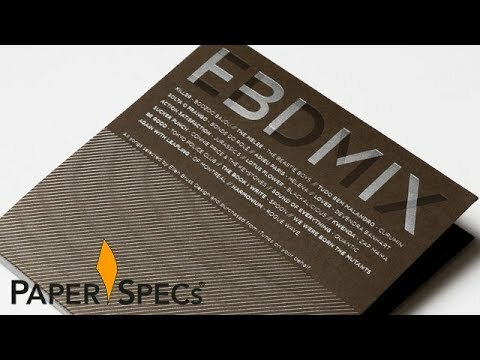 Anyway to get an actual hard copy sample? Thanks, Tom. They’re pretty hard to come by but we hope to be able to give away a few soon – keep watching our social media for more info on this! 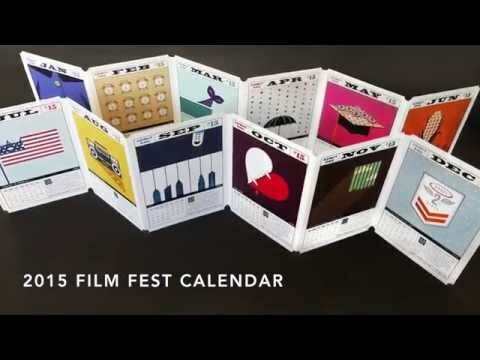 Are there any of these still available? Awesome work! Beautiful work, would also love to have a copy!